Island Mazda near Union, New Jersey is excited to introduce the all-new 2017 Mazda3. With an all-new design, new tech features, including an electronic parking brake on higher trims, enhanced active safety systems including blind spot monitoring and lane keeping, and full-color, high-resolution digital information screens in the instrument cluster. The 2017 Mazda3 also introduces “G-Vectoring Control”, software that makes tiny adjustments to engine output while cornering to create a smoother ride and reduce the number of corrections you make in the steering wheel during a turn. Conventional internal combustion engines only harness around 30 percent of the potential energy of fuel. So the engineers at Mazda crafted a smarter engine. By pushing the limits of internal combustion, the SKYACTIV-G 2.0L and 2.5L gasoline engines deliver much greater fuel efficiency. With higher compression ratios than conventional engines. Available High Beam Control helps the driver see better at night by maximizing opportunities to use the high beams. The system automatically switches to low beams when it detects oncoming traffic and/or a vehicle ahead. When backing up, available Rear Cross Traffic Alert helps to detect a vehicle approaching from the side and promptly alerts the driver with an audible warning, as well as a visual warning in either side mirror. While other car companies compromise power to improve fuel efficiency, Mazda has taken a dramatically different approach. SKYACTIV TECHNOLOGY is a holistic system that takes the entire car into consideration, delivering a series of innovations that work together to improve the overall driving experience. Power and performance are delivered in abundance, along with efficiency that allows the Mazda3 to offer up to an EPA-estimated 37 highway MPG. 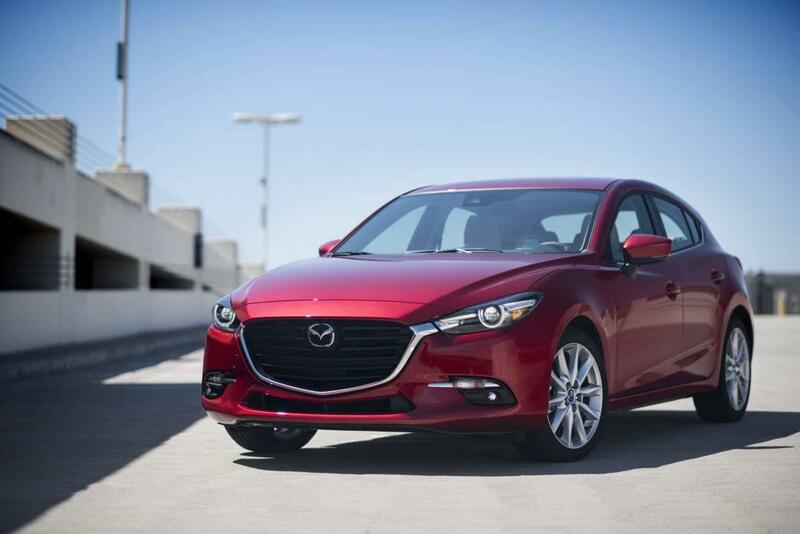 Already an IIHS Top Safety Pick, the updated Mazda3 improved its safety credentials with an improved camera system that is better at detecting pedestrians and able to see further down the road ahead. The available camera system can recognize road signs and display some information in the instrument cluster. If you are looking for a new vehicle head on down to Island Mazda near Union, New Jersey to take the 2017 Mazda3 for a test drive today!